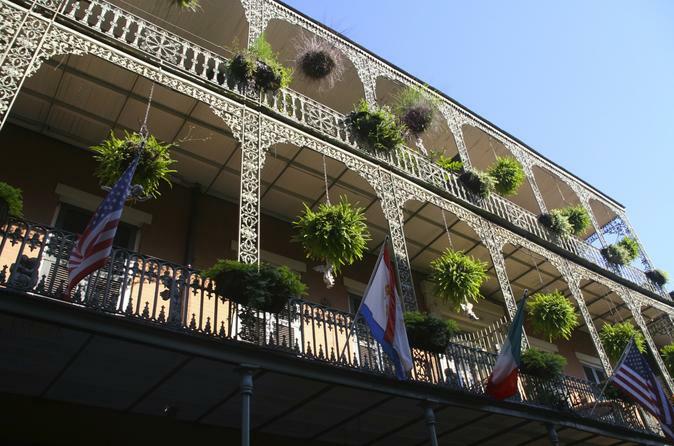 On the French Quarter Walking Tour, soak in the history, architecture, and culture of America’s most foreign city. All groups are capped at 6 people, and all tours are guided by the company owner, Ashton. The French Quarter is best enjoyed when walking in an intimate group with an engaging, knowledgeable guide. On the French Quarter Walking Tour, you'll learn all of the information a visitor to the city would want to know. Soak up the charm of the French Quarter and visit key highlights including Jackson Square, St. Louis Cathedral, Madame John’s Legacy, the Old Ursulines Convent, and the Lalaurie Mansion. Additionally, we will cover topics that every visitor needs to know, such as Cajun v Creole and how the destruction of Hurricane Katrina occurred. Your tour is led by the company's owner, Ashton, who loves spending his time introducing people to the wonders of the Crescent City.